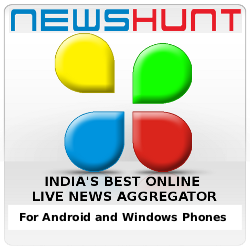 Newshunt is one of the best and useful NEWS Delivering mobile apps available today. It is an online live news aggregator. Using this you can access main News papers and Magazines in your region. NewsHunt works on all platforms and devices including J2ME, Symbian, Blackberry, Android & iOS. It is considered as India's top mobile newspaper app that brings together the News from more than 100 regional newspapers in 11 languages, and the largest collection of regional language ebooks from the world. Newshunt app was awarded with Top Entertainment Apps Awards 2012 , Google Development App Expo 2013 Winner Award and GSMA Best Mobile Publishing Product Award 2013. It allows Sharing of News over SMS, Email & Facebook. It is top Ranked News App on Windows Phone 8 platform.If you are connected to internet you will receive alerts and notifications of Breaking News even when you’re not using the app. "Neilsen Consumer Rankings" (www.nielsen.com) has ranked It as one among the top 10 smartphone consumed apps across all mobile platforms . GetJar.com has listed newshunt app as the "Most Downloaded News App". Lots of New papers and magazines are partnered with Newshunt and you can access the latest News from it in a single click. the App can be downloaded and installed from the App stores. How to Add or Remove News papers or magazines from Newshunt App's listing? Currently there is no such option. Newshunt will list only those News Resources who are partnered with them. Once they exit from the partnership those resources will not be displayed in the newshunt app. Mobile Installation: To install on your Android mobiles, Go to your Google Play/App store. Search for the newshunt and install the app.